ISRO SAC | Govt. Jobs | Graduate Apprentice | Last Date: 12 December, 2012. BE/ BTECH (ECE) required in ISRO SAC. Education: BE/ BTECH (ECE) from a recognized University with at least 65% marks. Posted in Apply online, Electronics and Communication, Government Job, Job After Btech. Tags: 2012, Govt. 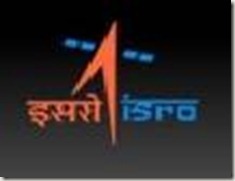 jobs, Graduate Apprentice, ISRO SAC, Last Date: 12 December on December 3, 2012 by kavita joshi. 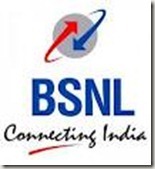 BSNL Bharat Sanchar Nigam Limited | Govt. Jobs | JTO (Civil) Vacancy | Last Date: 12 December, 2011. BE/ BTECH (Civil) required in Bharat Sanchar Nigam Limited, Bhopal. Posted in Civil, Disability / Physically handicapped, Government Job, Job After Btech, With experience, Without Experience. Tags: 2011., Bharat Sanchar Nigam Limited, BSNL, Govt. jobs, JTO (Civil), Last Date: 12 December, vacancy on November 30, 2011 by kavita joshi. BE/ BTECH (Telecommunications/ Electronics/ Radio/ Instrumentation/ IT/ Electrical/ Computer) required in Bharat Sanchar Nigam Limited, Meerut. Educational Background: BE/ BTECH (Telecommunications/ Electronics/ Radio/ Instrumentation/ IT/ Electrical/ Computer) from a recognized University. Posted in Computer Science, Disability / Physically handicapped, Electrical, Electronics and Telecommunication, Government Job, Instrumentation, IT, Job After Btech, Radio Engg., Special DRive for SC/ ST/ OBC, telecommunication. Tags: 2011., Bharat Sanchar Nigam Limited, BSNL, Govt. jobs, JTO Vacancies, Last Date: 12 December, Special Recruitment Drive on November 22, 2011 by kavita joshi.